From the late 1920s through the early 1930s, alfalfa flourished in the South, particularly in Mississippi, as dairy production became part of a diversified cropping system. At the time, Artesia, Mississippi was considered the alfalfa capital of the South. Farmers choose alfalfa because it is a high quality dairy and livestock forage, and can be used for hay, baleage (hay bales that have been wrapped in plastic and baled at a higher moisture), or grazing. 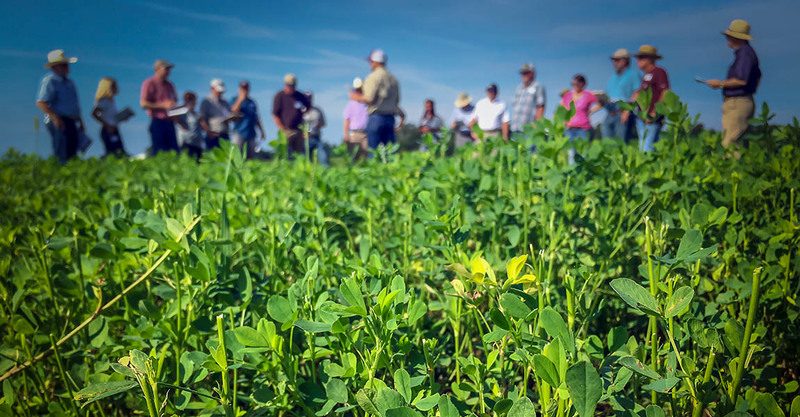 The perennial legume is the most widely grown crop in the U.S. and can be planted alone or incorporated into other perennial warm-season (or summer) grasses such as bermudagrass or bahiagrass. Often coined the ‘Queen of Forages,’ the crop almost disappeared from southern pastures in the late ’50s with the arrival of the alfalfa weevil. Alfalfa, however, is making a comeback in the region, as new varieties suitable for the southern climate enter the market and insecticides are now available to combat the alfalfa weevil. 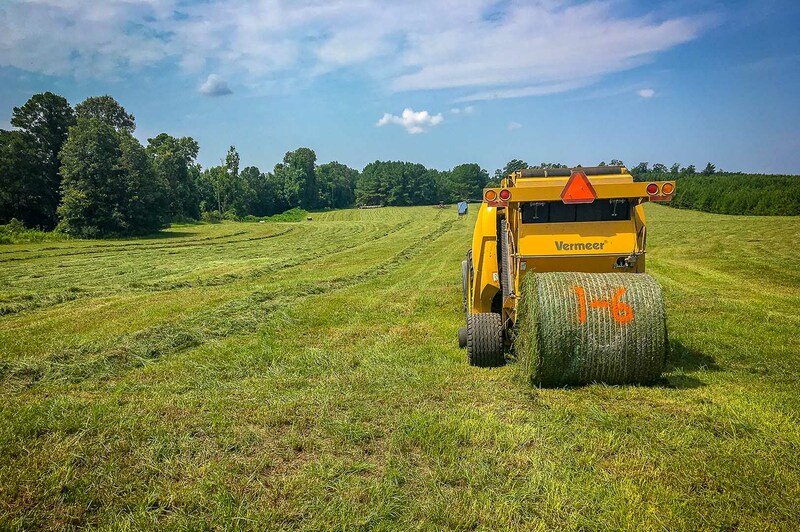 Scientists in the Mississippi Agricultural and Forestry Experiment Station have been studying the popular forage over the last seven years to refine management practices that will assist farmers in establishment, weed control, fertility, harvest, and storage of the crop. Lemus, and Dr. Brett Rushing, an assistant extension/research professor at the MAFES Coastal Plain Branch Experiment Station, have been working on three projects specifically designed to provide producers better management strategies for alfalfa. Lemus and Rushing are examining the impact of potassium fertilization, harvest frequency, and grazing management in alfalfa. An excellent source of potassium is a product that is readily available in Mississippi, poultry litter. Poultry litter is also high in phosphorus and nitrogen. While legumes, like alfalfa, do not need a nitrogen application, the plant will use the nutrient when available. A current study, now in its second year, is examining the application of poultry litter at one ton, two tons, as well as a synthetic broadcast fertilizer that mimics the nutrient concentrations found in litter on three different varieties of alfalfa. Rushing also noted that alfalfa is less expensive to produce per pound of protein compared to bermudagrass. The best variety of alfalfa cost 24 cents per pound of protein to produce while bermudagrass costs 49 center per pound of protein. Additionally, insect pressure was lower in alfalfa compared to bermudagrass, meaning fewer applications of insecticides were needed during the growing season. Lemus and Rushing are also conducting grazing trials in Newton, comparing alfalfa interseeded in bermudagrass, bermudagrass with a nitrogen application, and bermudagrass without fertilization. 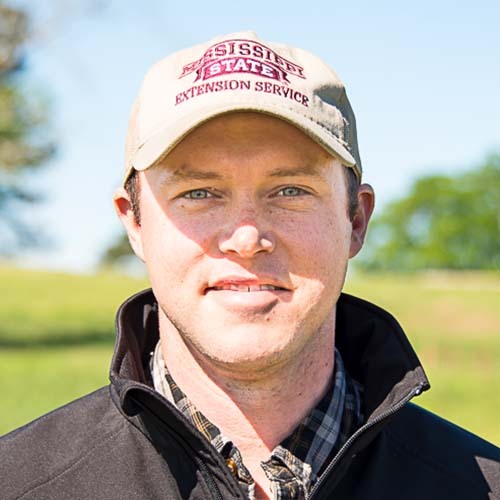 Thus far, they have found that the interseeded alfalfa/bermudagrass adds two weeks on the front end of the grazing season, providing an opportunity to increase animal weight gain. Cattle average daily weight gain was also higher in the alfalfa/bermudagrass forage compared to both bermudagrass treatments. Overall, the research has shown that alfalfa is a great forage crop for Mississippi producers. However, harvesting and storage of alfalfa can be a challenge in the hot, humid South. 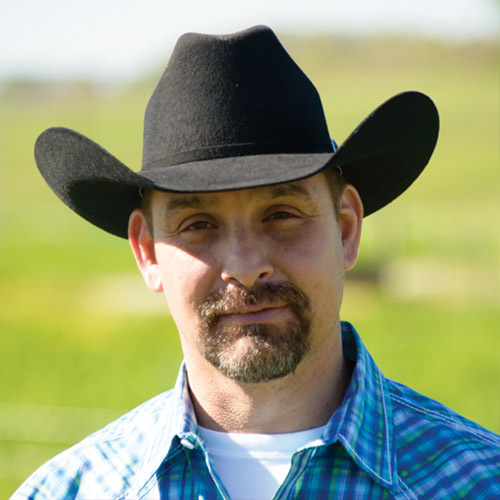 Lemus is working with collaborators in other states to examine the use of commercial inoculants to help the forage convert plant sugars into organic acids and stabilize the forage for baleage or hay. The scientists are studying an alfalfa/bahiagrass mix in Mississippi, alfalfa/bermudagrass mix in Georgia, and alfalfa/orchardgrass mix in Wisconsin. Baleage is used to preserve the quality of the forage. “We are trying to speed up the fermentation process to stabilize the pH and have better preservation of the forage,” Lemus said. The scientists cut alfalfa, let it stay on the ground for about three hours to dry, rake it in windrows, and then apply the inoculant ahead of the balers. They then put temperature sensors in the bales to measure the temperature changes for 28 days. At the same time, they take core samples of the bales at 7, 14, 21, 28, and 112 days to see the changes in quality and stability. While there is still research to be done, Experiment Station scientists are committed to developing the best management practices that will help producers manage alfalfa in their forage production system. As producers add alfalfa to their forage systems, scientists in the Experiment Station will continue developing tools to help farmers succeed. This research is funded by the U.S. Alfalfa Farmer Research Initiative (Alfalfa Check-off program) and USDA-NIFA. For more information on alfalfa varieties suitable for Mississippi, check out the MAFES Official Forage Variety Trials for perennial cool-season forages at http://mafes.msstate.edu/variety-trials/includes/forage/perennial.asp. Passion At Work: I want to help Mississippi producers grow forages year-round and extend the grazing season. Mississippi forage and livestock producers have a great potential to be among the top beef producers across the U.S. Passion At Work: My job allows me to conduct an applied research program while simultaneously delivering results directly to stakeholders through Extension programming.